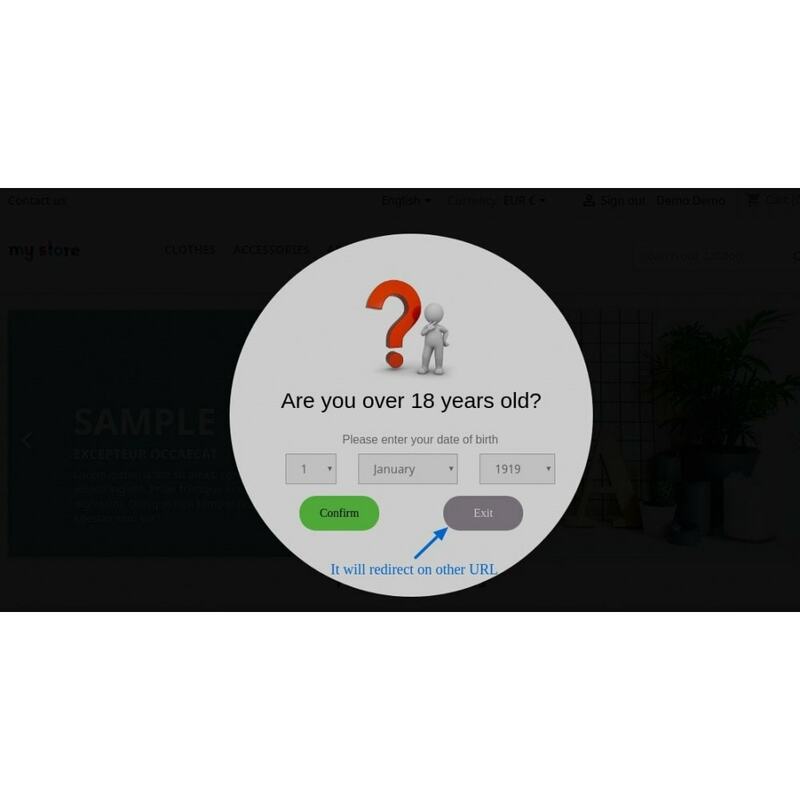 Age Verification module will allow you to validate all your customers, visitors and guest whether they are adult or not to browse your website. It provide authentication while browsing the website. Prevent under age customer to signups to website. Check and authentic "Age", before customer, visitor and guest browse your website. Redirect on different web page if customer, visitor and guest are not above the age. 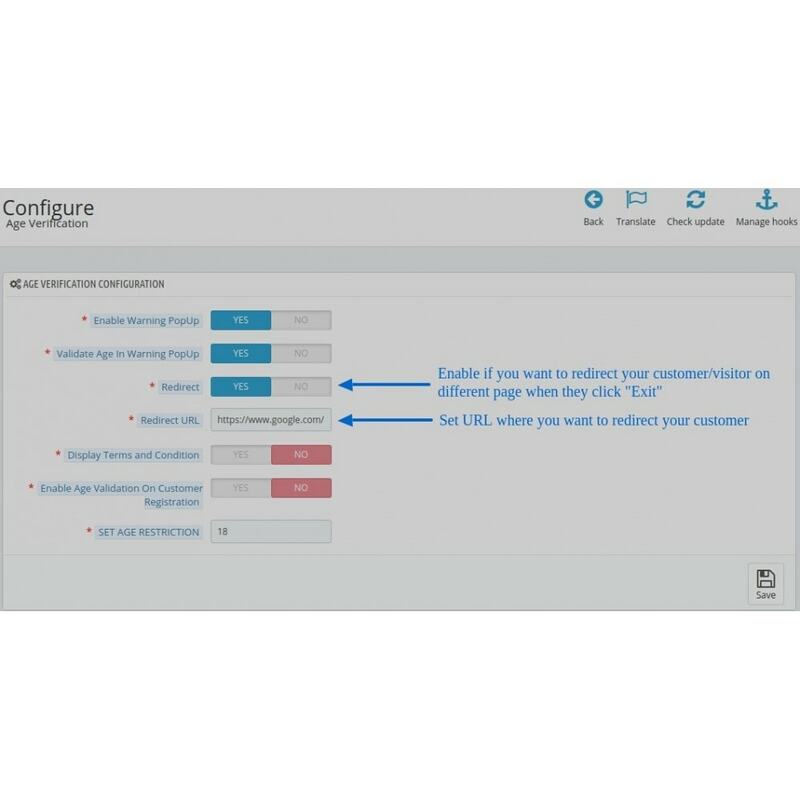 Show terms and condition before customer, visitor and guest browse your website. Customise the warning pop up. Change button color, hover color and text color as which suits your theme. Admin can set age restriction. Verify age based on the date of birth. 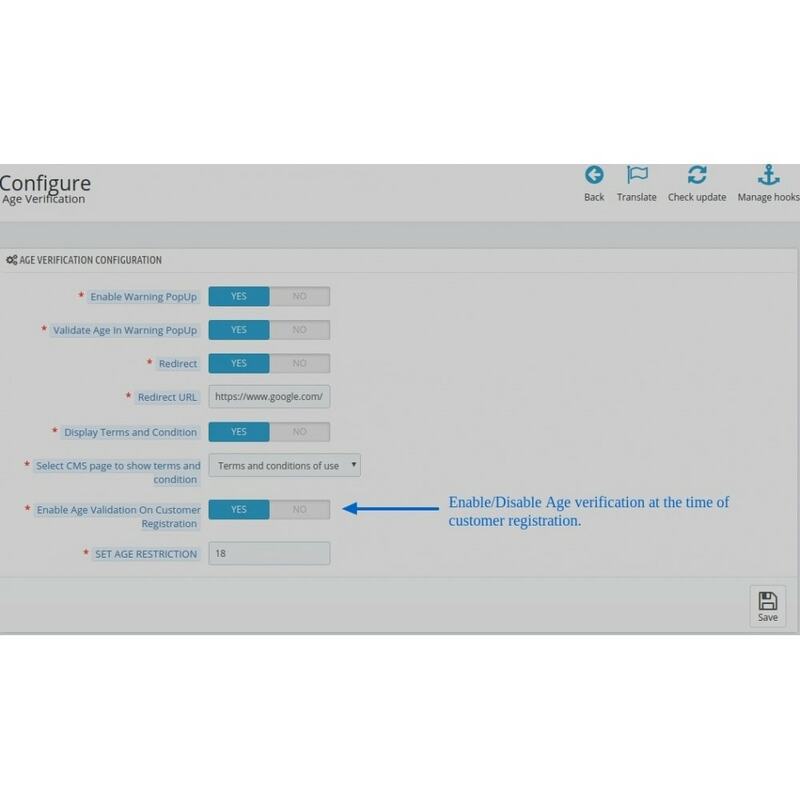 Enable/Disable Age Validation on Registration Page. On Exit, redirect your visitor, customer and guest on different URL/Web page. 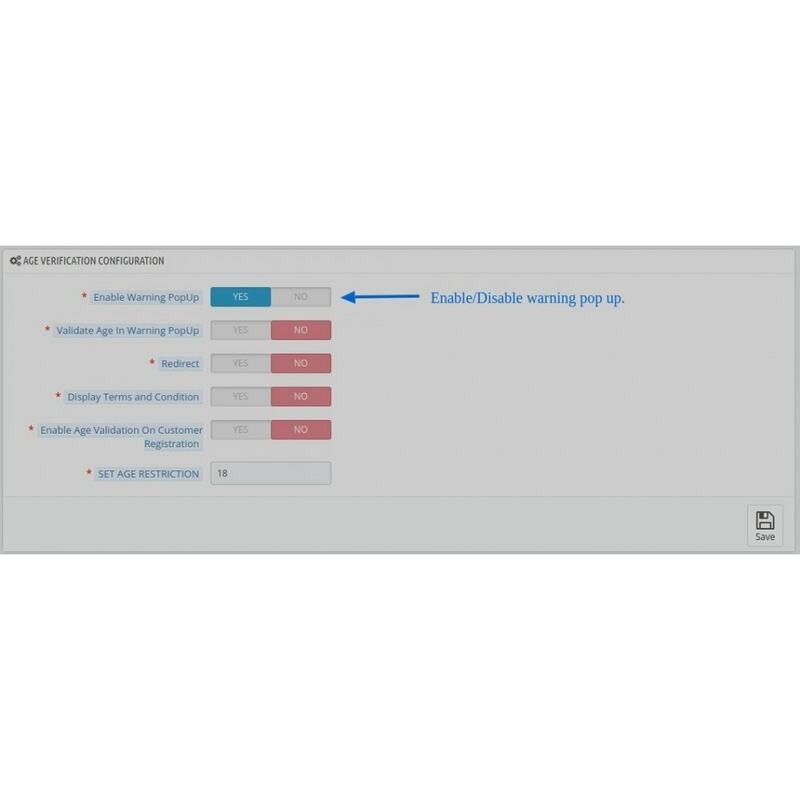 Validate visitor, customer and guest Age on warning pop up window. 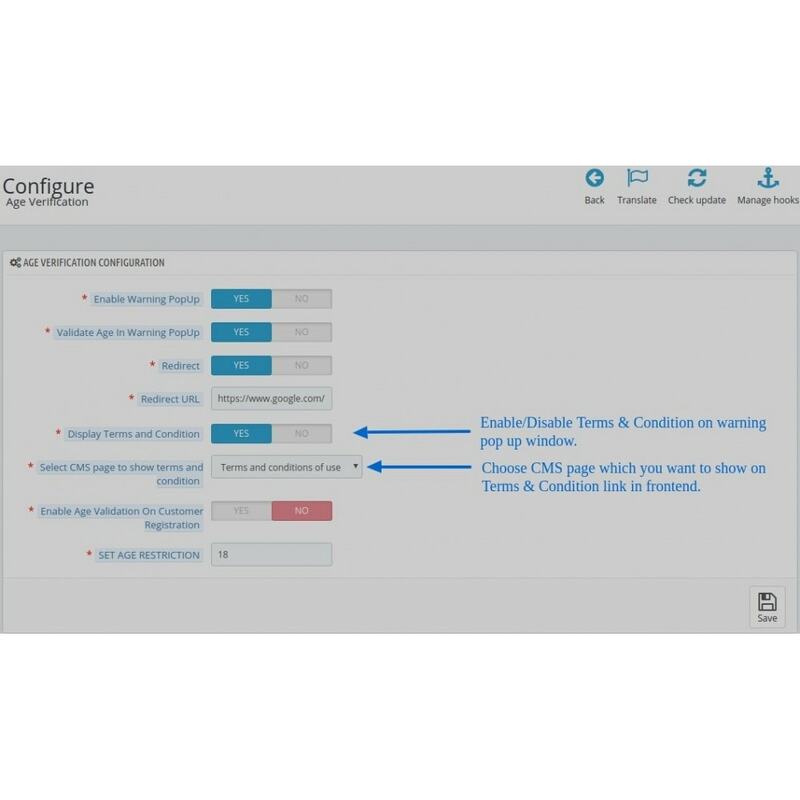 Manage terms and condition link on warning pop up window. Change background image for warning pop up. Change background color of warning pop up. 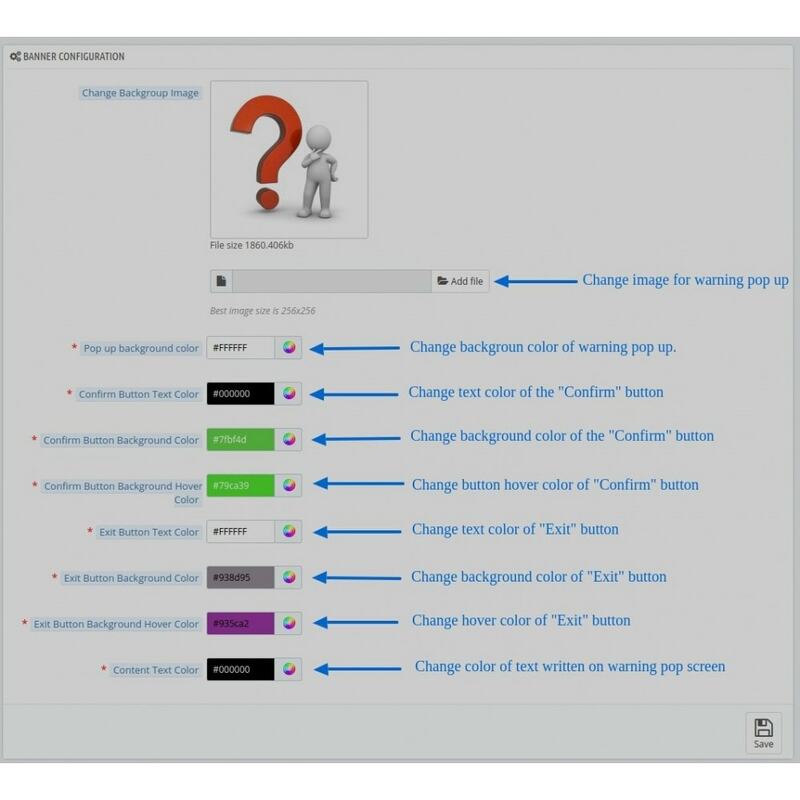 Change background color, hover color and text color of confirm button. Change background color, hover color and text color of exit button. Change text color of the content. Customer will get acknowledge on front page of website about the contents. 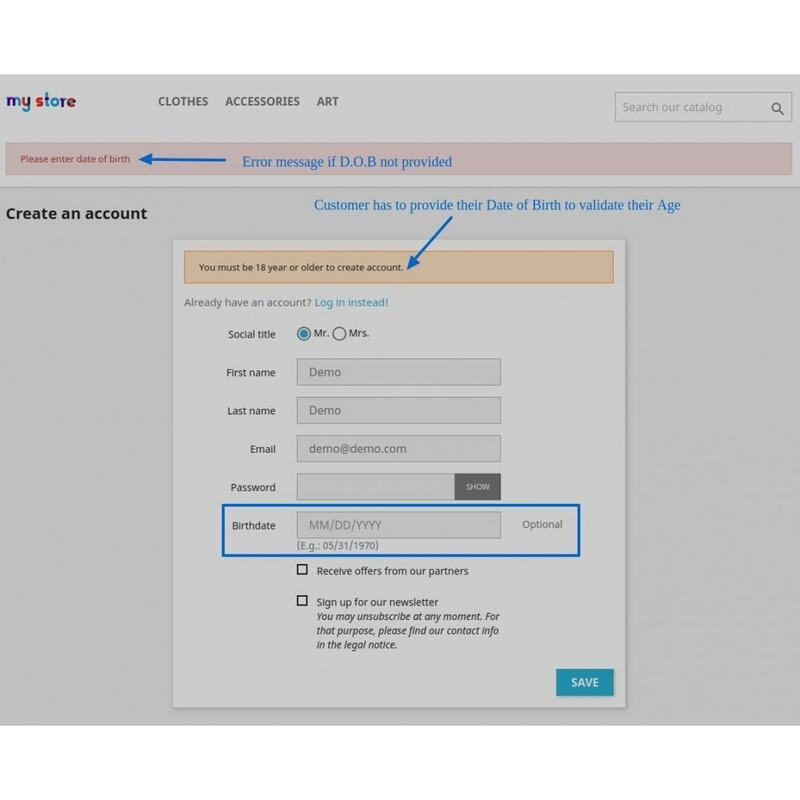 Customer can validate their age on landing page without browsing more on website. Customer can read Terms & Condition before they enter into the website. 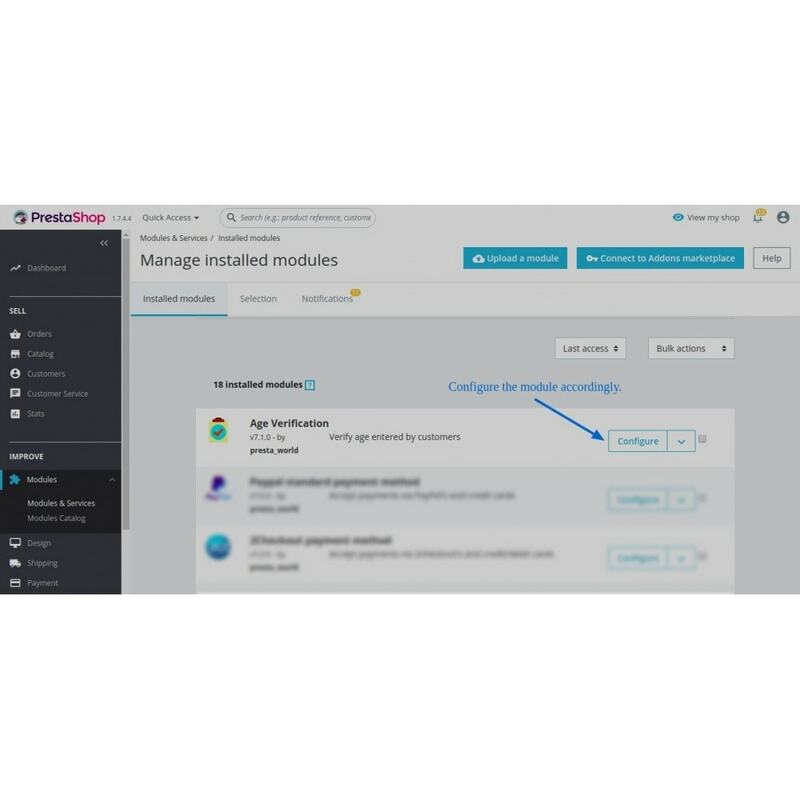 Step : 2 Install it and configuration age restriction which you want. Step : 3 Go to front page of your website, a pop up window will come to ask your consent about the age. Step : 4 Go to registration page, an warning message will shown at above, to indicate your must be adult to register the website. On Exit, redirect your visitor/customer on different URL/Web page. 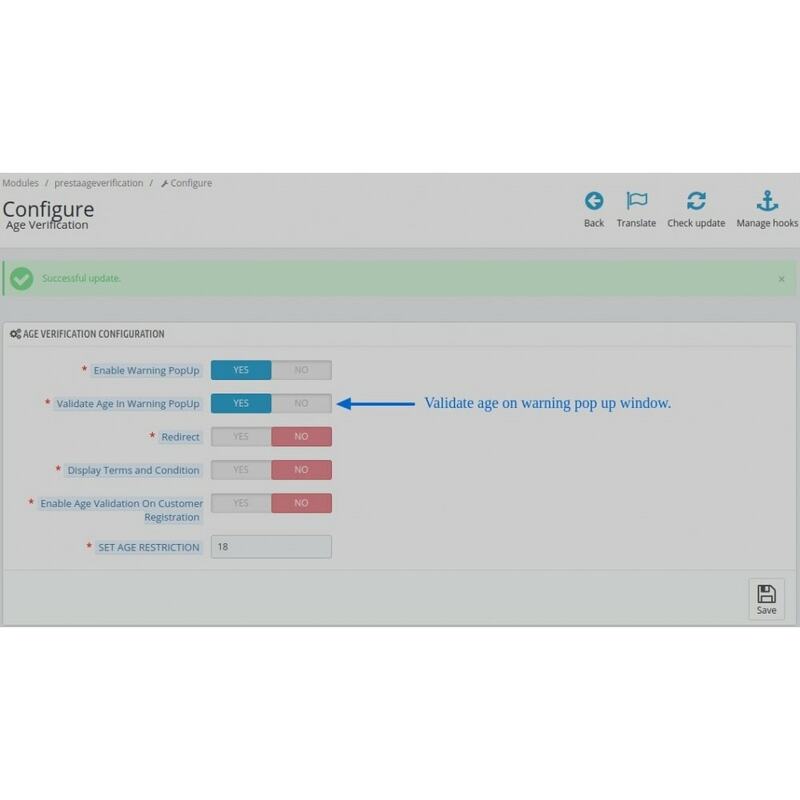 Validate visitor/customer's age on warning pop up window.